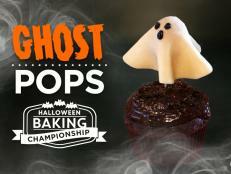 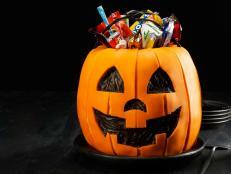 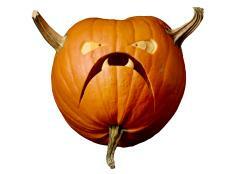 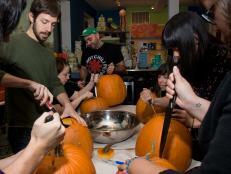 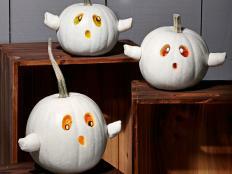 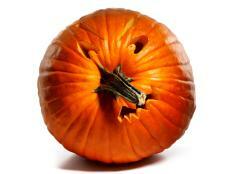 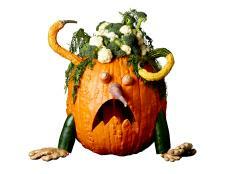 Food Network Magazine and Halloween Wars champion Shawn Feeney show you how to carve a cool pumpkin, step-by-step. 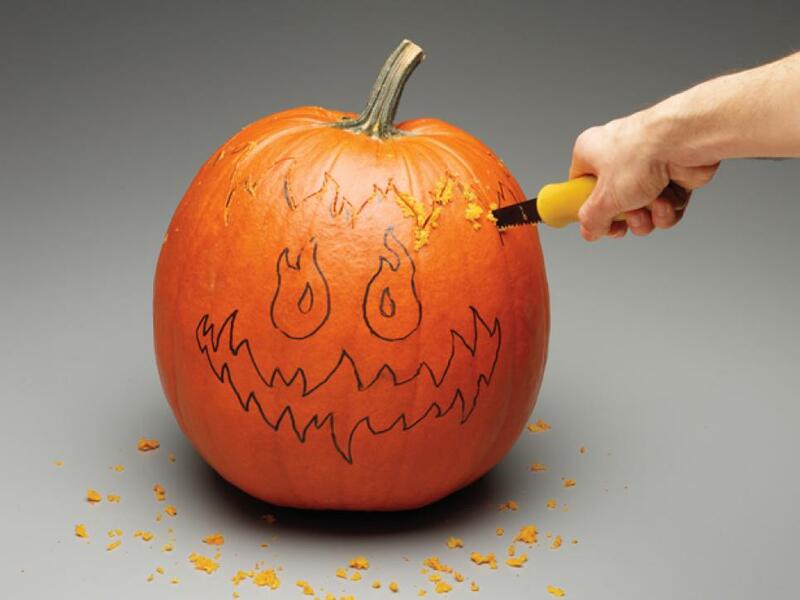 Draw your design with a dry-erase marker, making a flaming top, eyes and mouth as shown. 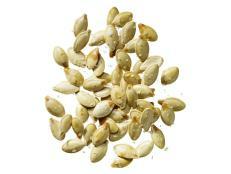 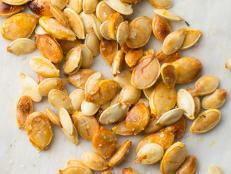 Cut off the top with a serrated knife, following the lines, then remove the seeds and guts. 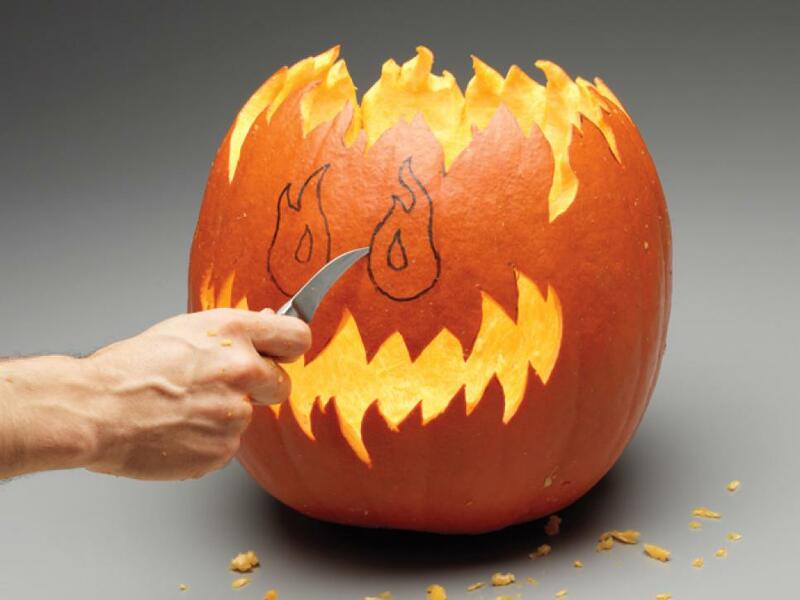 With a loop tool or spoon, thin the flames near the tips by scraping away some of the inner flesh. 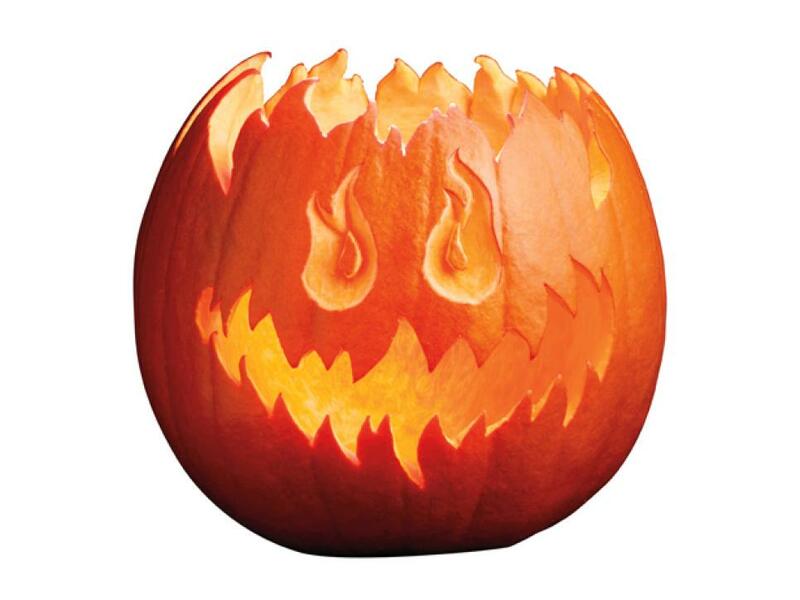 Keep scraping until the tips become thin and pointy like real flames. 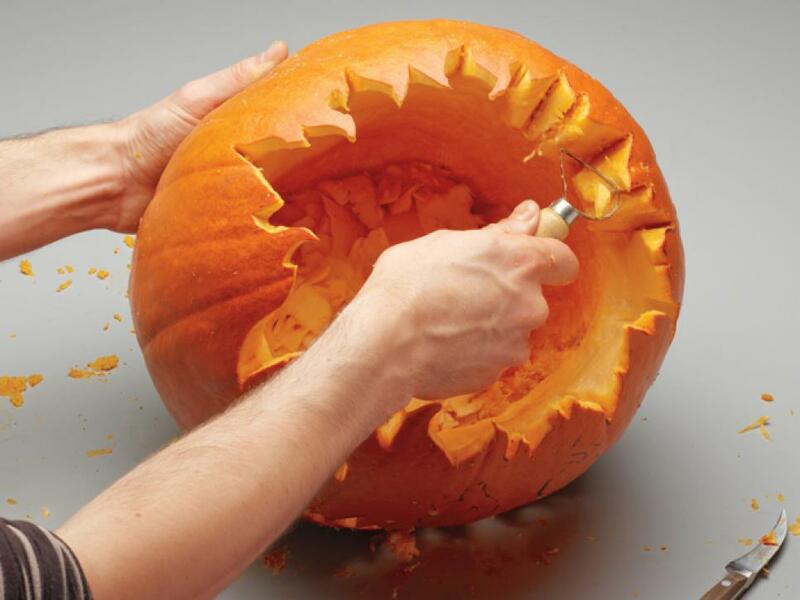 Cut out the mouth, then remove the inner flesh, as in step 2, to create similar thin, sharp points. 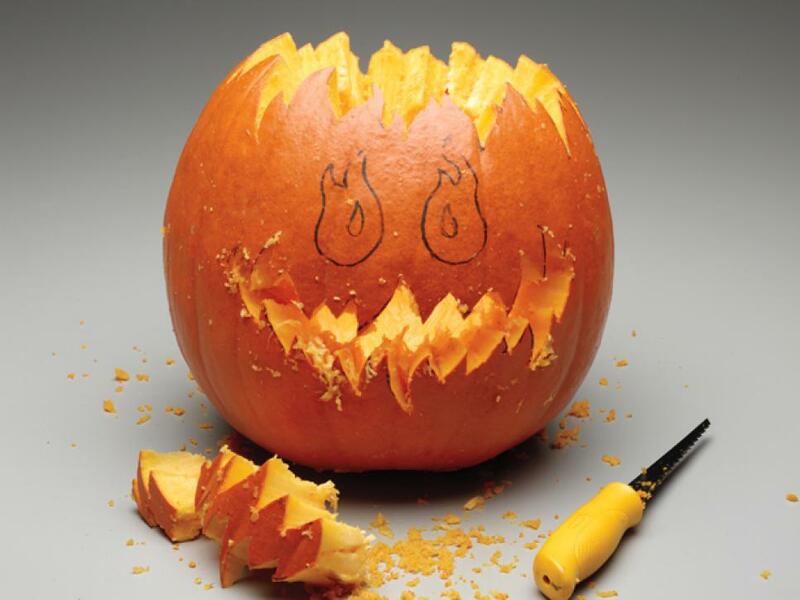 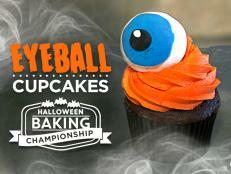 Score the eye outlines with a paring knife (don't cut all the way through). 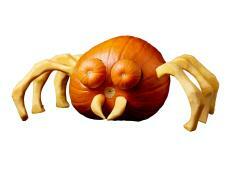 Use a loop tool or spoon to remove the skin and some of the flesh from the eyes, leaving the pupils orange. 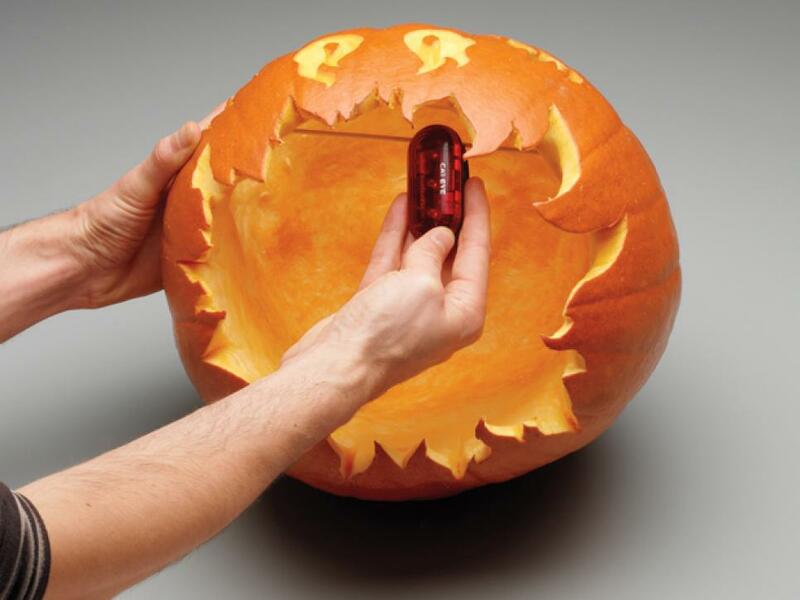 Secure a bamboo skewer horizontally inside the pumpkin, close to the eyes, and hang a small bright battery-operated red light (Shawn used a bike light) on the skewer.